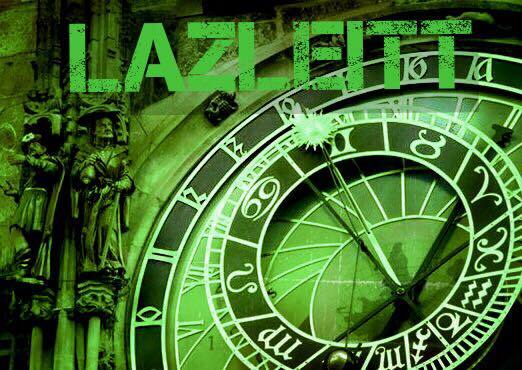 Lazleitt is an eclectic progressive rock musical project conceived by Washington, DC songwriter, composer, and multi-instrumentalist Alex Lazcano, in collaboration with drummer Jorge Cortes Cuyas, flautist John Pomeroy, and special guests. 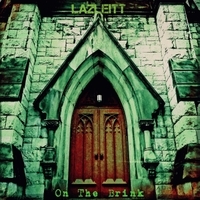 Lazleitt’s debut album ‘On The Brink’ consists of one long epic track clocking in at thirty seven minutes and twelve seconds, seamlessly divided in thirteen movements. The track runs the gamut in styles, dynamics, mood, tempo, time signatures, and key changes. The album was written, arranged, and produced by Alex, with drum arrangements written and recorded by Jorge. The album is the result of stream-of-consciousness writing, resulting in one continuous piece of music with recurring themes and motifs. Cuyas’ input was crucial determining the direction of the music, written and arranged by Alex. The album features guitar virtuoso Eric Gillette on lead guitar, who also mixed and mastered it. You could be forgiven for thinking ‘oh god, not another progressive rock concept album’, as that can often strike fear into the heart of any listener but, take away some of the more self-indulgent elements and you have a nicely constructed and performed piece of music that never outstays its welcome. Alex’s vocals suit the mood of the music being dark and forthright and Eric Gilette is a virtuoso as ever with his occasionally outrageously complex guitar playing. The best way to listen to this album is as one thirty seven minute piece and let all the thirteen different movements take their natural flow, then it all makes perfect sense. When Pomeroy’s flute joins in you get a folk, almost medieval, edge to the music and that adds yet another intriguing facet. It is a musical work that requires, and deserves, extended listening, to understand all the complexities and, when you do, you will be rewarded richly. Cuyas’ drums bear particular mention for there intensity and skill, they add real depth and solidity to the music but it’s the way that everything gels together to create this intriguing whole that fascinates me the most so, like all the best albums, you are always coming back for more. ‘On The Brink’ is not for the faint hearted. I’m not saying it’s an album aimed more at musicians but, in my opinion, it’s musical theatre for those that love complexity and albums that make you think deeper about everything, including yourself.